With the advent of 4G LTE technology and the development of the FirstNet cellular network, technology is stepping up to meet the challenges and threats faced by first responders every day. High-speed broadband gives personnel access to real-time intelligence that provides enhanced situational awareness, improving safety and responsiveness. To help keep the public (and themselves) safe, emergency response agencies use applications such as high-definition video, GIS systems and AVL. Cellular high-speed broadband makes all this possible, as well as PTT, VOIP and integration with existing LMR systems. With that in mind, is dual-band LTE overkill? Although the public safety LTE infrastructure is growing quickly, there are still many areas where the FirstNet B14 network hasn’t taken hold. Agencies in these areas are faced with a choice: go with FirstNet and wait for adequate coverage, or stick with a commercial 4G network, hoping to join FirstNet in a future budget cycle. A dual-band solution such as the CalAmp Fusion provides concurrent coverage on both networks. 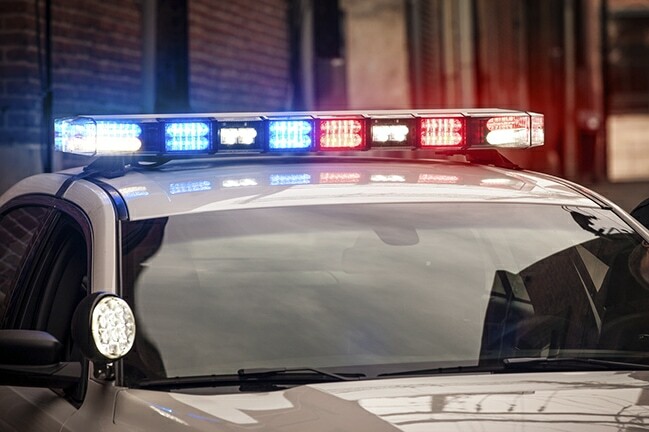 Personnel can take advantage of the emerging FirstNet technology where it’s available and rely on a simultaneous connection to a 3G or 4G commercial network elsewhere. Fusion offers the ultimate in connectivity and redundancy by routing traffic concurrently between carrier networks without requiring an external router or switch. Concurrent connections to multiple networks also provide critical bandwidth when one network is congested or compromised. The FCC, in a 2010 white paper about FirstNet, predicted that during large emergencies FirstNet might experience demand spikes that would necessitate reliance on additional 4G capacity (see The Public Safety Nationwide Interoperable Broadband Network: A New Model for Capacity, Performance and Cost). Under those conditions, a device such as the CalAmp Fusion can fall back to a commercial 3G or 4G LTE network seamlessly. On both FirstNet and commercial networks, Fusion keeps sensitive, critical data safe through an IPSec-enabled VPN. This security, coupled with dual-band flexibility and reliability, makes Fusion a valuable tool for first responders who need real-time interoperability and cooperation between agencies. Managing the Fusion devices is easy and convenient using CalAmp DeviceOutlook, a scalable, all-in-one cloud-based application. For more information about Fusion, see the Fusion datasheet.